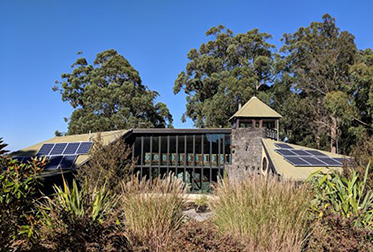 This energy efficient home, located in the foothills of the Dandenong Ranges in Victoria, received an upgrade to their heating system. A Stiebel Eltron WPL 25 Inverter heat pump was selected to replace their existing 20-year-old heat pump. 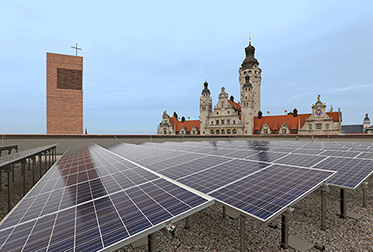 The Propsteikirche St. Trinitatis in Leipzig – one of Germany's most sustainable churches with an innovative building technology concept that relies on self-generated electricity via solar PV and STIEBEL ELTRON ground source heat pumps. 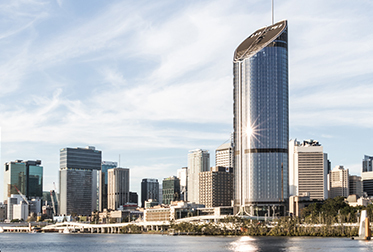 The largest building on the Brisbane CBD skyline. 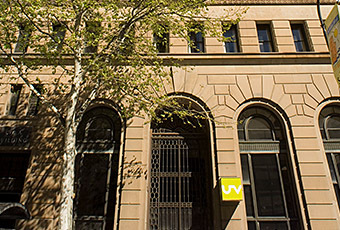 The 1 William Street office building features a modernist style along with 137 STIEBEL ELTRON electric instantaneous hot water units. 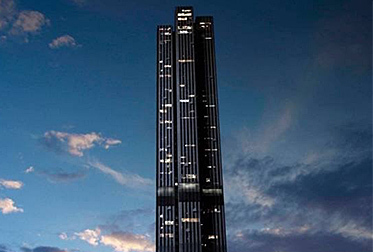 STIEBEL ELTRON is proud to be part of one of the biggest building projects in the Melbourne CBD, the 69-level tower of 568 Collins St. Featuring a decentralised hot water system powered by STIEBEL ELTRON. 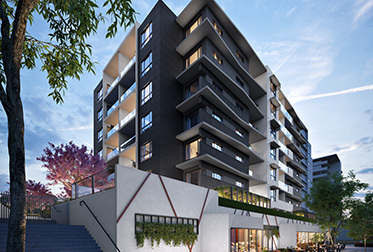 The Vogue Apartments are in the destination for lifestyle, South Yarra. 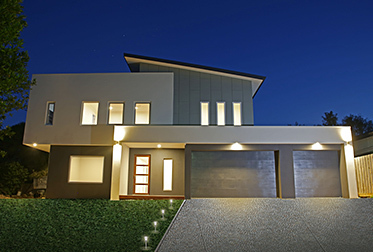 It is one of the largest projects undertaken in Australia for instant hot water. 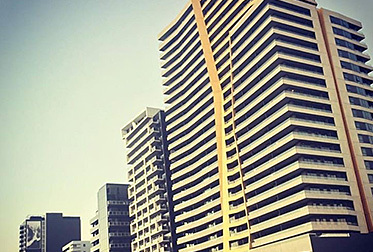 The DEL series of instantaneous water heaters were used with close to 500 water heaters used throughout the project. 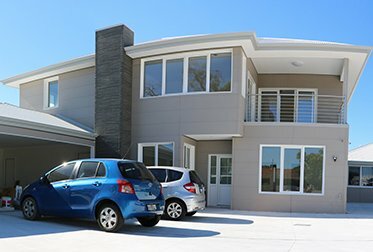 This beautiful home, located in the Croydon Hills of Victoria, is an exemplar of modern architecture meeting energy efficient building. 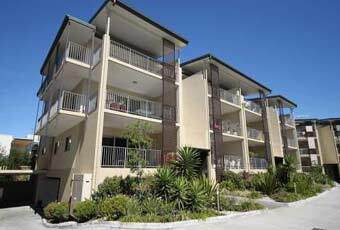 Carinity Cedarbrook is an aged-care community located in Mudgeeraba. Residents enjoy 96 hotel-style private suites with ensuites, spread across three levels, each floor features a dining lounge, quiet retreats and kitchen hubs. 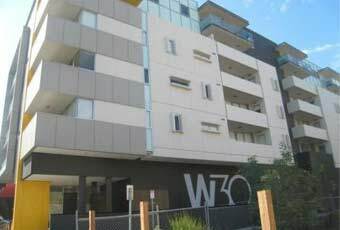 This serviced apartment complex responds to the growing market for short term accommodation adjacent to Sydney Airport. 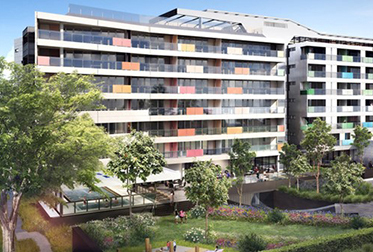 With 160 apartments arranged over 7 levels with basement car parking, the development is set back on the site to provide a deep landscape buffer to its street frontage. 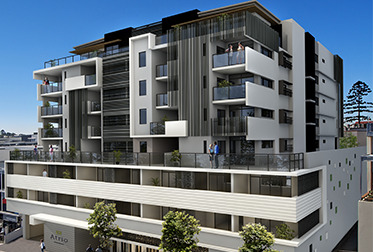 Taskers Falcon Apartments is a stunning multi-residential building located south-west of Perth. 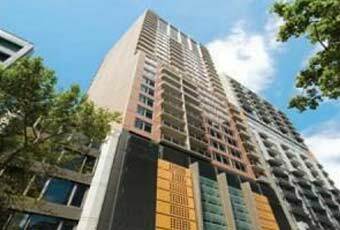 Combining an unswerving commitment to excellence and craftmanship, the Taskers Falcon Apartment building features 51 DEL instantaneous electric water heaters. 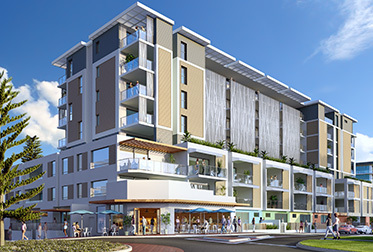 Situated in North Perth, the Rose on Angrove connects you to everything Perth has on offer. Fitted with 39 instantaneous electric water heaters, Rose on Angrove residents can enjoy endless hot water. 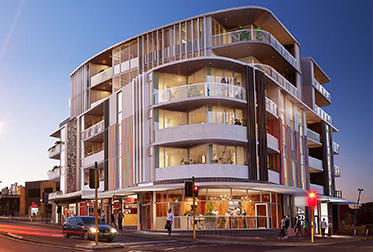 Located in Fortitude Valley Atrio Apartments combines the best of inner city living and suburban lifestyle. Opting for 71 x DEL 27 AU water heaters, a solution which provides instant hot water on demand. 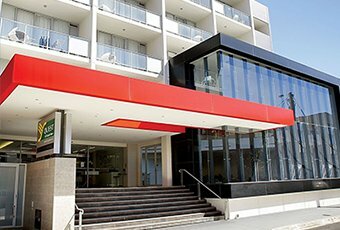 Located in Perth the Paragon apartments utilised the DHB series of instantaneous water heaters from STIEBEL ELTRON. 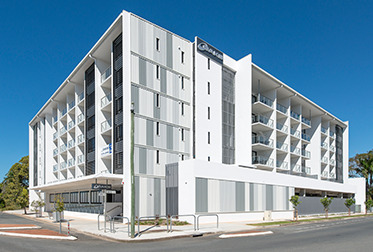 Close to the beach and a few hundred metres away from the CBD, Pacific Sands is the perfect destination for holidays and business. With 59 STIEBEL instant water heaters you can guarantee there will always be plenty of hot water. By installing a STIEBEL ELTRON heat recovery ventilation system, this family home in Morley is supplied with fresh air all year round. Ventilation systems with heat recovery are ideal for efficient homes built air tight. By installing a LWZ 170 E Plus ventilation system you can greatly reduce your heating and cooling costs. 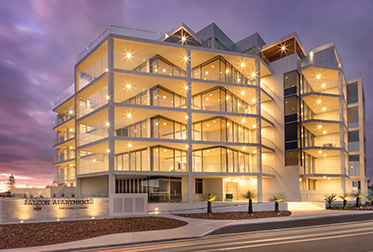 This residential and commercial building located in Western Australia is constructed using highly efficient insulation and an airtight envelope design. Because of this, a ventilation system is required to supply fresh air to the occupants. The DHE is the top of the range 3 phase electric instantaneous water heater from STIEBEL ELTRON. 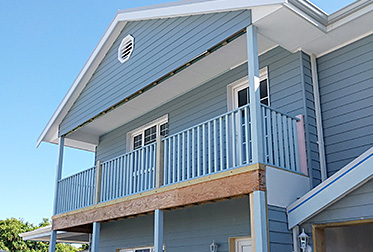 78 DHE water heaters were used in this development. The LWZ 170 E Plus, such as the one found in this family home, provides up to 300 m3/h of fresh air that's warmed using a cross current heat exchanger. 120 DHE 27 three phase instantaneous water heaters were used in this development by Victory Homes. 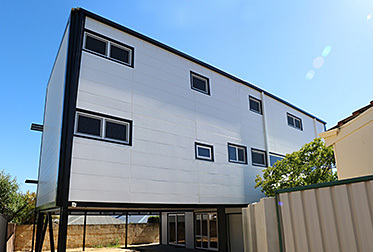 Located in Adelaide, the UV Apartments are fitted with 78 DHB-E 18 instantaneous three phase electric water heaters. 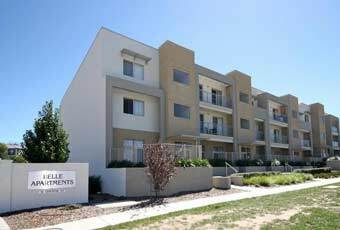 Oak apartments selected the premium DHE 27 instantaneous water heater for this development. 123 water heaters were required to provide instant hot water. 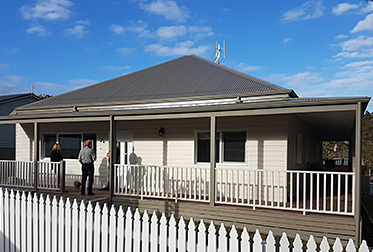 With a mix of townhouses and apartments, the Charlie Apartments development in Richmond used the DHB-E series of instantaneous three phase electric water heaters. 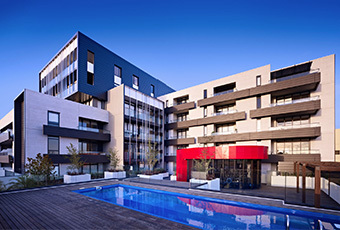 SXY Apartments utilised STIEBEL ELTRON range of home comfort products incorporating DHB-E series of instantaneous water heaters as well as the CNS convection panel heaters. 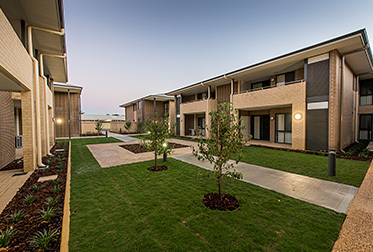 The DHE 27 provides instant hot water on demand for the 20 apartments of the Spray Street development in Elwood. 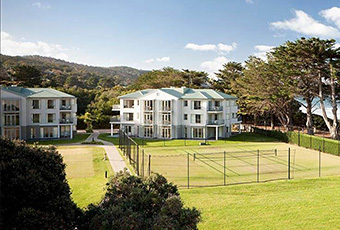 Located in the beach oasis of Lorne the Mantra Apartments use the DHB-E series of 3 phase electric instantaneous water heaters. 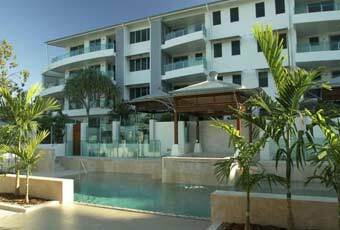 Riverlight Settlers Cove Noosa have instant hot water on demand with the premium DHE 27 instantaneous electric water heaters. 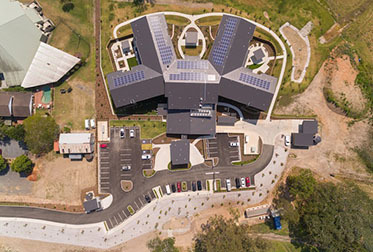 Bethanie apartments in Gwelup is a facility designed for people over 55 who are looking for the perfect mix of serenity and amenity in a stunning lakeside location. 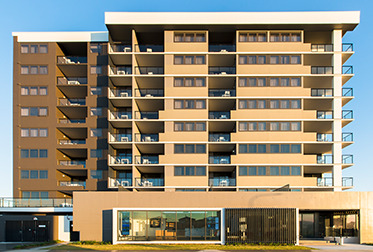 Oaks Carlyle is a stylish apartment building located on the iconic Pioneer River which features DEL AU instantaneous electric water heaters. Award-winning architecture meets a tropical lush environment. 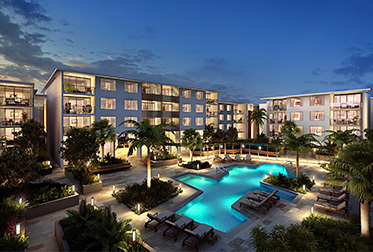 Residents can enjoy a resort-style pool, BBQ entertainment area and comfortable picnic nooks. 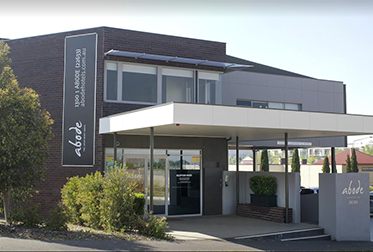 With the aim of making your stay as comfortable as possible, the Abode Apartment Hotel, located in Gungahlin ACT, relies on STIEBEL ELTRON DHE 18 instantaneous electric hot water units. Sundance apartments by Psaros developments offers a coastal lifestyle with a modern design complete with 100 DEL water heaters. 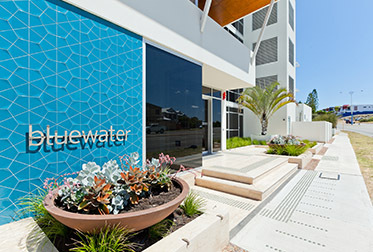 With panoramic views of the Indian Ocean and located less than 10km from Perth CBD, Bluewater Apartments offers a beach lifestyle quite unlike anywhere else in Perth. 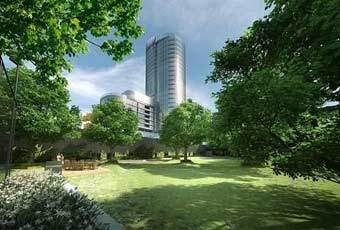 Melbourne's skyline provides a spectacular backdrop for the Central South Yarra residential landmark. Built using modular bathrooms, instantaneous electric water heaters were ideal for this relatively new method of construction. 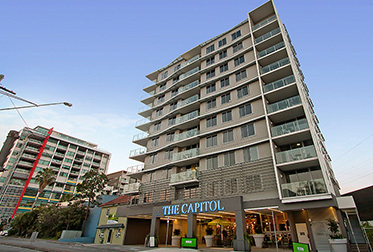 Located in the heart of Brisbane's cultural district, The Capitol Apartments is a prime example of sleek and modern design. 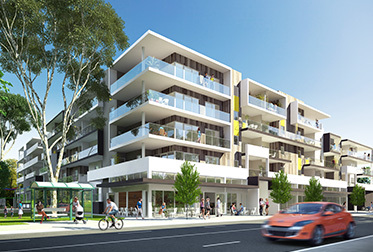 Located in the exclusive suburb of Churchlands, Park Avenue Apartments is a life changing opportunity for those looking to have it all. 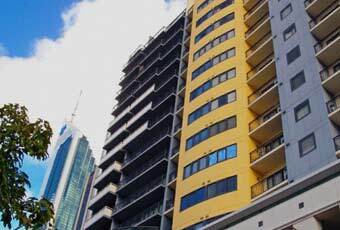 Located in West End, the cultural hub of Brisbane, MUSE apartments feature DEL instantaneous electric water heaters. 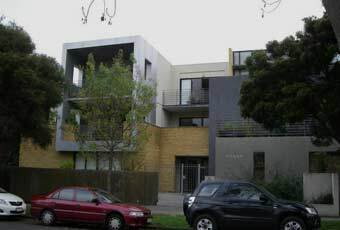 This modern, North Melbourne development comprises 49 one and two bedroom apartments, each with their DHB instant electric water heater.